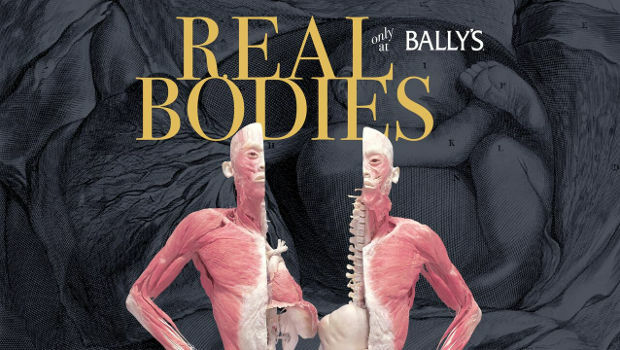 REAL BODIES at Bally's uses real human specimens to explore the complex inner workings of the human form in a refreshing and thought-provoking style. System-by-system, the Exhibition provides an approachable and fascinating insight into what's happening inside every one of us. Generous group discounts are available for parties of 10 or more. Please contact us for more information regarding group pricing for self-guided tours and field trips. $5 off - YOU'LL NEVER SEE YOUR BODY THE SAME WAY AGAIN! EXPERIENCE REAL HUMAN BODIES presented in dramatic and compelling environments. An authentic, original exhibition on human anatomy. Hanging out with the stars!